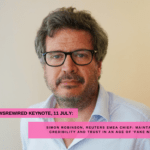 With only 12 days to go until our next newsrewired digital journalism conference taking place at Reuters in London on 11 July, the team is pleased to announce two more speakers joining our sessions on the day. Karyn Fleeting is the head of audience engagement for the Reach plc (formerly known as Trinity Mirror) regional titles, with a brief covering several hundred social accounts, pages and profiles. At newsrewired, Karyn will be sharing some insights into her strategy for running Facebook groups, from engagement tactics to accelerating growth and taking lessons from the groups to the title’s publishing strategies. Andrew Green is the managing editor of Malnutrition Deeply, a single-topic news site that is part of the larger News Deeply community. Green will be joining the newsrewired opening panel in the place of Megan Clement, managing editor, Women’s Advancement Deeply, who can no longer join us on the day. Before his role at Malnutrition Deeply, Green worked as a freelance print and radio journalist from sub-Saharan Africa for more than six years, including a stint as Voice of America’s South Sudan bureau chief. The opening panel at the next newsrewired event will explore journalism beyond the 24-hour news cycle. How do you tell stories once most of the cameras have gone? How do you keep audiences engaged? And how can you keep track of the impact of your newsgathering and storytelling? Today, the Journalism.co.uk team is happy to announce, Mun-Keat Looi, science writer and commissioning editor for longform science magazine Mosaic, will be joining the discussion, alongside Megan Clement, managing editor, Women’s Advancement Deeply; Emily Dugan, senior reporter, BuzzFeed News; and Paul Rowland, editor, WalesOnline, and editor-in-chief, Media Wales. With less than a month to go until the next newsrewired digital journalism conference, taking place on 11 July at Reuters in Canary Wharf, Journalism.co.uk is pleased to welcome back CosaVostra as an event partner. Louis Dumoulin, head of UK office at CosaVostra, will share his experience with applications for Google’s Digital News Initiative fund (DNI), as well as his team’s expertise of crowdfunding campaigns for news organisations, and the EU Media programme. He will be joined on a panel by Journalism.co.uk senior reporter Marcela Kunova and two other speakers who have raised external funds to power innovation inside their media organisations. Daniel Daum will give some practical notes from his DNI experience as the managing director of Prisma, which got funding for a project in the fourth round of the DNI, as well as highlight several innovation policies within news media, from hackathons to “green house” models at organisations such as Grüner Jahr and Prisma. Matthieu Beauval, deputy director, head of innovation at Radio France Digital, will also share some takeaways from his DNI experience as well as his knowledge of innovation within a big public institution. 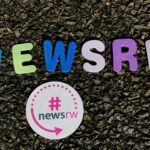 Explore the app that combines artificial intelligence with human insight to vet the credibility of your newsfeed, in a lunchtime session at newsrewired on 11 July. Logically uses its signature knowledge graph to identify misinformation in its various forms, relying on natural language processing and machine learning. Whether you’re faced with factual inaccuracies, misleading content, or plain fabrication, Logically’s algorithms have been trained – and train themselves – to recognise the signs. It then takes this information and puts it into context, making sure that you get a more balanced representation of what’s really going on. Think what you’ve read is too politically partisan? Logically presents you with the other side of the spectrum. Want a snappy sum-up of the issue, or prefer a deep-dive? Logically can source both. Find out more from Clara-Læïla Laudette, editor, Logically, and Felicity Handley, editor and research associate, Logically, at newsrewired next month! With just under a month to go until the next newsrewired digital journalism event, taking place on 11 July at Reuters, Journalism.co.uk is pleased to announce speakers from the Financial Times, The Economist and the Reuters Institute for the Study of Journalism will be joining us to discuss the latest trends and techniques in their newsrooms. 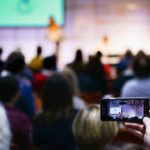 From creating a successful editorial newsletters strategy, to building communities on social media and understanding the value of constructive journalism, the programme for the day is packed with practical lessons that delegates can take back to their teams and implement at work the very next day. • Podcasts: an emerging opportunity? Who listens and why? • How the Financial Times approaches email newsletters. Join speakers and delegates from the BBC, the Guardian, BuzzFeed News, Quartz, The Telegraph, NBC News Digital, ITN Productions, Apple, Swedish Radio, Sky News, and many more. The world is awash with claims of fake news. Digital technologies have radically changed the way news is created and consumed. Social media allows misinformation to spread at lightning speed. Journalism is facing a crisis of trust in an era when reliable, impartial news is more important than ever. How should news providers respond? In the keynote speech at newsrewired on 11 July, Reuters EMEA chief, Simon Robinson, will explain how the world’s largest international multimedia news provider is addressing these issues by focusing on robust reporting, maintaining independence, increasing transparency and, when they occur, correcting mistakes quickly. The media landscape may have changed dramatically, but the best modern journalism, he will argue, is rooted in old-fashioned reporting values. Robinson is regional editor for Europe, Middle East and Africa at Reuters. He directs newsgathering and reporting in the region, and oversees budget, strategy, hiring, legal and security issues. Robinson joined the news service in 2010 and ran investigations and enterprise reporting in EMEA for six years, editing award winning series on Iran, Russia, corporate taxation, Greek banks and migration. Simon edited two Pulitzer finalists, packages of stories on Libya and on Iraq. Between 1995 and 2010 he was a correspondent and then editor for Time magazine, reporting from more than 50 countries in Africa, South Asia, the Middle East and Europe. He has published short stories, and wrote and produced an award-winning satirical movie about aid workers and journalists in Africa. What can we learn from the strategies US local newspapers have adopted to keep going in the digital news landscape? And how should we fortify our storytelling to keep the public engaged with a topic once it’s out of the 24-hour news cycle? Find out the answer to these questions, and many others, at Journalism.co.uk’s next newsrewired digital journalism conference on 11 July at Reuters in London. Today, the team behind the event is pleased to announce two more speakers who will be joining us on the day to share their insights. The past decade has had a dramatic effect on the local newspaper landscape. But, despite ongoing challenges, there are reasons for optimism about the future. In a spotlight talk at newsrewired, Damian Radcliffe will draw on transferable lessons from his research produced for the Tow Center for Digital Journalism at Columbia University and the Agora Journalism Center in Portland. Paul Rowland combines being editor of WalesOnline with his role as editor-in-chief of Media Wales, in which he oversees the company’s editorial operations in Cardiff and Swansea as well as print titles including the Western Mail, South Wales Echo and South Wales Evening Post. At newsrewired, Paul will join the opening panel alongside Megan Clement, managing editor, Women’s Advancement Deeply, and Emily Dugan, senior reporter, BuzzFeed News.